Dorm Co. Tip: For flying remember 3oz or less! Our 3oz Locking Personal Sprayer is helpful for college life because in the dorm you'll have to use a communal bathroom. A handy dorm accessory like this one will make trips to the dorm bathroom a lot easier, especially since you can put this in you dorm shower caddy. Put water, hairspray, styling gel, or anything else you can think of in our 3oz Locking Personal Sprayer. Our 3oz Locking Personal Sprayer's convenient features go beyond just being a college supply that will make dorm life and bathroom sharing easier. 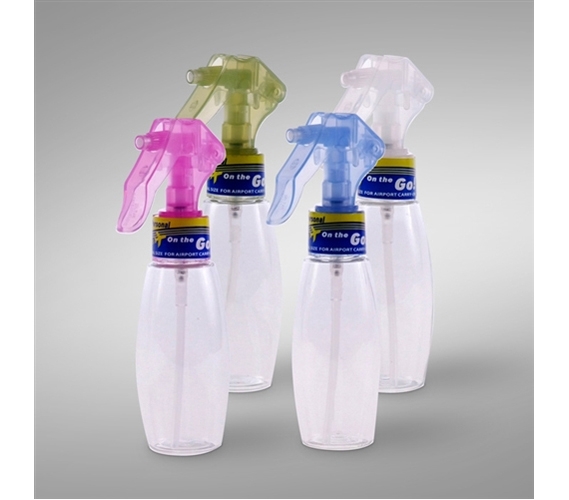 With it's 3 ounce capacity, this sprayer is airline approved and the ideal size for traveling. In addition, the top of our sprayer locks so you avoid messy spills and leaks in your toiletry case. As a college student, you can't go wrong with this cool dorm supply!